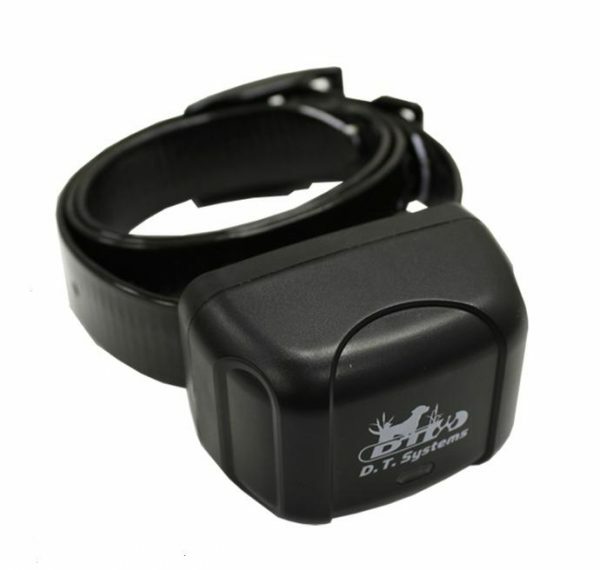 This AddOn collar allows you to expand your RAPT1400 to a 2-dog or 3-dog system. Or use it to replace a lost collar. R.A.P.T. Series collar units are equipped with MAXX-Range 360 Antenna – The embedded MAXX-Range Antenna is woven into the collar strap and runs along the entire length of the strap, providing extended range without the drawback of an external antenna. Provides 360 degrees of signal reception and is not blocked by your dog’s body, regardless of which direction your dog is facing. The collar is also equipped with the SmartLED battery status system. The SmartLED system lets you know when the unit is charging and when the charging is complete. It also gives you a status on how much charge is remaining in the battery during use, when it needs charging, and when the batteries will need to be replaced. Choose Black, Orange or Green strap.